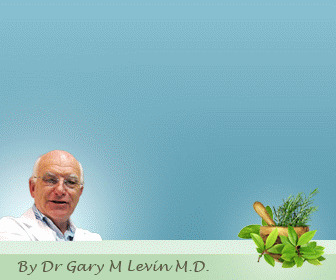 contributes to resting diastolic pressures within the heart and it may also limit acute cavity dilation. Although these effects may be modest in normal individuals, in states of pericardial pathology they can have a profound impact on the heart's hemodynamic performance. Of particular import is that the relative stiffness of the parietal pericardium causes the intrapericardial pressure to rise rapidly with an acute increase in volume. Conversely, a chronic, slow accumulation of pericardial fluid is better tolerated because pericardial stretching with augmented compliance can gradually increase over time. 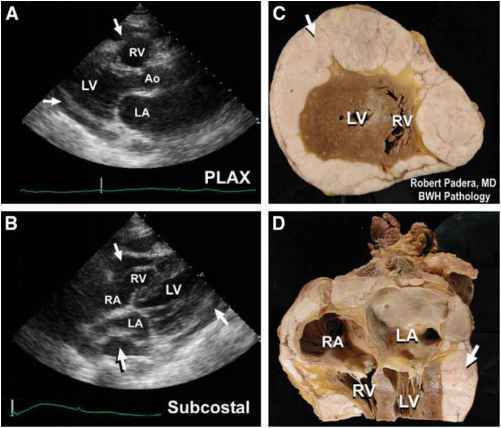 The mechanical restraint of the pericardium contributes to ventricular interdependence: the LV and right ventricle (RV) share a common wall in the interventricular septum and are surrounded by the relatively noncompliant pericardium. Therefore, the volume in one ventricle can influence the diastolic pressure and filling characteristics of the opposite chamber. This physiology is accentuated in states of pericardial pathology (Table 1), as described in "Chronic Constrictive Pericarditis" and "Pericardial Effusions and Compressive Syndromes" sections. Pericarditis is the most common affliction of the pericardium and reflects inflammation that can result from a broad variety of local and systemic disorders. Most causes can be assigned to one of six categories: infectious, "idiopathic," metabolic, collagen vascular/autoimmune disease, postinjury, and neoplastic. Viral infections and "idiopathic" are the most common categories of pericarditis accounting for 40-80% of cases in hospitalized patients. Although idiopathic pericarditis is a diagnosis of exclusion, most such cases are likely viral in origin. Mediastinal radiation Uremia (dialysis) Collagen vascular disease Pericardial effusions and compressive syndromes "Most common causes. 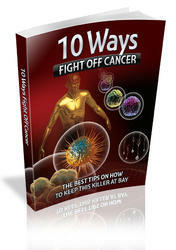 although a variety of viral, bacterial, and fungal pathogens have been isolated. Bacteria are now a rare cause of pericarditis. In the preantibiotic era, such purulent pericarditis occurred as a complication of pulmonary or pleural infections with extension to the pericardium, mostly owing to Streptococcus pneumoniae or Staphyloccocus aureus (Fig. 5). Antibiotics have markedly reduced the incidence of complicated pulmonary infections, and the incidence of purulent pericarditis has fallen accordingly. The demographic of patients with purulent pericarditis has also shifted from otherwise healthy individuals with pulmonary infections to older patients with systemic comorbid conditions. Other implicated agents include gram-negative bacilli, meningococci, legionella, and, in children, Haemophilus influenzae. Fig. 5. Acute bacterial pericarditis. This 42-yr-old woman with a 2-wk history of chills, fever and pleuritic chest pains developed fulminant septicemia (Staphylococcus aureus), endocarditis with new-onset aortic regurgitation, and multisystem failure. 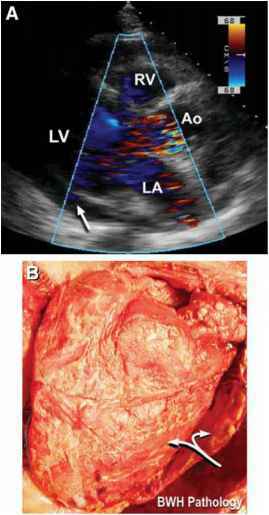 Her parasternal long axis image (A) showed a pericardial effusion (arrow), but no echocardiographic evidence of tamponade. Examination of the pericardium revealed a deep red pericardium with fibrinoid deposits on both visceral and parietal layers (B). corticosteroid treatment has been shown to improve outcomes and reduce the need for surgical pericardiectomy. Fungal pericarditis is rare. Typically, pericardial involvement occurs as a consequence of systemic fungal infections, such as disseminated histoplasmosis or coc-cidiomycosis. In the case of histoplasmosis, up to 6% of patients with disseminated disease are found to have pericardial involvement. In some cases this represents a sterile inflammatory response to adjacent infection in mediastinal nodes, whereas in others direct infection may occur. Pericardial infection from Candida, Aspergillus, cryptococcus usually arises only in debilitated and immunocompromised patients. Localized fungal infection of the pericardium is rare and is usually a complication of cardiac and/or mediastinal surgery. 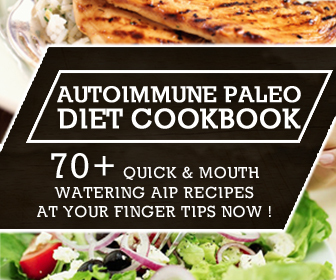 Autoimmune disorders, including systemic lupus erythematosus, rheumatoid arthritis, and scleroderma may cause acute pericarditis as the first manifestation of the systemic illness. Acute rheumatic fever can involve the pericardium as part of a pancarditis. Certain drugs may cause pericarditis and/or pericardial effusion either by inducing a lupus-like syndrome (e.g., hydralazine or procainamide), or by nonlupus, unknown mechanisms (e.g., minoxidil, anthracycline antitumor agents). Uremic pericarditis occurs in up to one-third of patients with chronic renal failure and those on chronic hemodial-ysis. A pericardial friction rub is often heard on auscultation, but of note, pain is frequently absent. 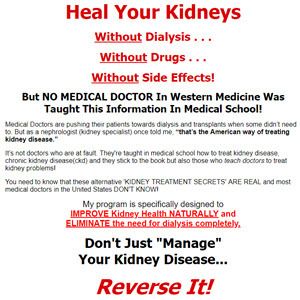 Management usually involves nonsteroidal anti-inflammatory drugs and more aggressive dialysis. Pericardial inflammation after cardiac injury can occur in a variety of settings, including postmyocar-dial infarction, postcardiac surgery, or as a result of penetrating or blunt trauma to the heart. The mechanism of this syndrome may be a hypersensitivity reaction owing to myocardial antigens released by the primary injury. (fibrinous), strands (adhesions) Abnormal septal motion: septal "bounce" diastolic "checking," septal "shudder"
"Acute pericarditis is a clinical diagnosis. bCardiac tamponade is a clinical diagnosis. cMV and TV are better indicators. PV, pulmonic valve; IVC, inferior vena cava; TV, tricuspid valve; MV, mitral valve; AV, aortic valve. lymphatic spread. The most common malignancies involving the pericardium are carcinomas of the lung and breast and lymphomas. Pericardial malignancies, although rare, are notoriously difficult to detect on echocardiography (Fig. 6; please see companion DVD for corresponding video). Clinical manifestations include chest discomfort, atrial arrythmias, and at its extreme, cardiac tamponade. Echocardiographic findings in pericarditis depend on the nature and the tempo of the inflammatory process (Table 2). In some patients, the echocardiogram may be entirely normal. In others, a pericardial effusion may be present. Fibrinous stranding may be evident and provides evidence of an ongoing inflammatory process. 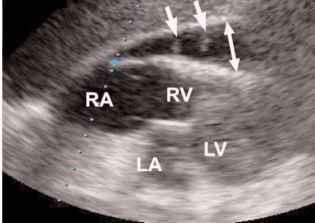 Increased echogenicity within the pericardial space may raise suspicion for intrapericardial blood, thrombus, or malignancy (Fig. 7). Over time, persistent inflammation results in increased pericardial thickness and stiffness. Thickening is manifest as increased echogenicity of the pericardial layers. The hemodynamic significance of pericardial effusions, when present, should be carefully assessed (see "Pericardial Effusions and Compressive Syndromes" section), particularly if clinical features suggest a process of acute onset and rapid course. Chronic constrictive pericarditis results from the initial or repeated healing of pericardial inflammation, with granulation and scar tissue formation leading to fibrosis and obliteration of the pericardial space. This results in a firm, fibrous, noncompliant encasement around the heart and impairment of ventricular filling during diastole. Historically, the most common cause of chronic pericarditis with constriction was tuberculous pericarditis. In developing nations, this remains a potential etiology. In the United States, however, this diagnosis is now rare; more likely causes include past episodes of viral or purulent pericarditis, postcardiac injury/surgery, neoplastic pericarditis, mediastinal radiation, chronic uremia, or repeated pericarditis owing to collagen vascular disease. The physiological consequences of pericardial constriction relate to impaired late diastolic filling of the ventricles. Early diastolic filling is rapid owing to the associated elevated atrial pressures and the absence of impedance to flow into the ventricles during that phase. However, there is a precipitous cessation of ventricular filling in mid- to late diastole as ventricular expansion is prevented by the physical limits imposed by the constricting pericardium. The atrial pressure tracings of patients with constrictive pericarditis show unimpaired early diastolic filling, reflected by a rapid "y" descent. In ventricular pressure tracings, the "dip-and-plateau" configuration reflects the rapid "dip" of early diastole, and the "plateau" of late diastole as the stiffened pericardium limits further filling (Fig. 8).